The geniuses, the nonconformists, the hackers, writers, lovers, activists and revolutionaries. Those should be our heroes. Aaron Swartz was someone to look up to. I didn’t know Aaron, but know plenty of people who did. The memories of him, his life and work all paint a humanist picture of someone who understood what was right, and was brave enough to let that sense of justice and humanity run all the way to the core of what he did. Had he been alive in the 1960s, he would have been working for justice in the framework of the time. Instead, he was alive in the Internet era, and he hacked. And then he was hounded, both by the government and his own demons, to the point where he felt he had to take his own life. The promise of the Internet age is to remove gatekeepers, provide information equality and empower anyone to be informed. Academic journals have long been an injustice: expensive paid-for periodicals that are baked into the academic system, so that your work must be published there in order for it to be generally accepted as valid. Those results are then locked up behind those paywalls, even when the work itself has been paid for with public money. Aaron downloaded over four million of these documents from JSTOR, an academic journal archive. I believe this act of civil disobedience was morally outstanding. Whatever his plans for the documents (he never released them), simply the act of accessing them without permission was strong movement in the right direction. That information should be free. That information should be all of ours. Under the Computer Fraud and Abuse Act, the US government was going to send Aaron to prison for 50 years. Of course, JSTOR, and the ridiculous prosecution that followed, didn’t happen in a vacuum. Aaron already had some major victories under his belt. Two years previously, he had downloaded documents from PACER, the court records system that stored court proceedings (which, like all US government documents, are free of copyright) in a non-free, hard-to-use database. 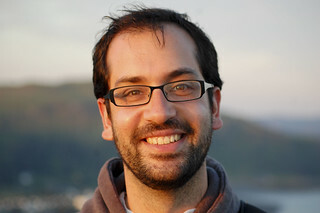 Aaron grabbed 20% of the entire database using a free trial pilot at 17 public libraries. He was also at the forefront of the fight against SOPA, the draconian copyright act that threatened the Internet itself – a story that is best told by Aaron himself in his own eloquent words. In short, it is no wonder the government wanted this troublemaker locked away. And so, he is no longer with us. One obvious concern is that of his suicide itself. Every suicide is a waste, and the loss that the community feels is nothing compared to that of his family and friends. Men are 5x more likely to take their own lives; those with high IQs are also more likely. Those are the demographics of the hacker community. Blue Hackers is one site that deals with this; for more, you should read this post by Evan Prodromou. If you are having suicidal thoughts, please talk to someone. It’s time for Congress to amend the CFAA to clarify what counts as access “without authorization” and what doesn’t. This will help ensure prosecutors can’t use the law to bring arbitary cases against people they simply don’t like. Some progress is being made: Rep Zoe Lofgren, the Representative for the Congressional district that includes San Jose, has introduced “Aaron’s Law” to change the Computer Fraud and Abuse Act, which (among other things) would no longer make it a felony to break the terms and conditions of a website. If you are a US voter, you should contact your representatives in support of this bill. Update: Senator John Cornyn (R-TX) has sent a letter to the Attorney General raising concerns about the conduct of the Justice Department in Aaron’s case. I think, too, that there’s a larger battle to do with the Internet and information freedom. There’s a line to be drawn. Aaron was a hero, who made a measurable impact on modern freedom of speech through peaceful means. Dave Winer suggested “retiring his number”, in reference to the practice of retiring famous baseball players’ numbers in memorial. I’d like to think, though, that we should be following his example. Aaron was among the most visible of a new kind of activist, who saw the Internet as something much bigger than just a new way to make money. He saw it as freedom, and expression. He saw it as people. He was working for us. It’s the least we can do to carry on his fight. 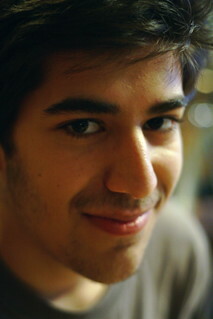 Aaron Swartz’s memorial is on Saturday, January 19, 2013, in New York City. Photo: Visiting Ft Collins by Quinn Norton, released under a Creative Commons license.